Be sure to follow us on social media @ACGCNow and sign up for our bulletins for the most up-to-date opportunities! Also, check out our events page! For jobs and internships, please see our employment website! ACGC invites applications for a youth delegate to the Women Deliver Conference 2019, which will be held in Vancouver, June 3-6, 2019. The youth delegate may also have an opportunity to participate in side events during and following the official conference. ACGC, in collaboration with the Provincial and Regional Councils for International Cooperation (ICN), and Women Deliver 2019 Mobilization Canada hosted by the Canadian Partnership for Women and Children’s Health, is seeking a youth delegate to join a national ICN youth delegation to the Women Deliver 2019 Conference. ACGC will be selecting 1 youth delegate to join a delegation of 10 youth from across Canada to represent small and medium organizations. Registration, food and accommodation costs will be covered for delegates. 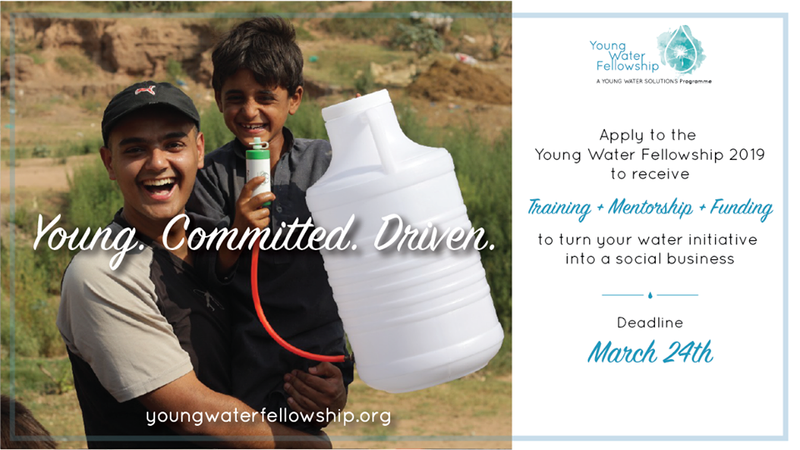 Are you a young (18-30) social entrepreneur who lives in a low or middle income country, and undertaking a innovative WASH initiative in its initial stages that can be turned into a social enterprise? Planting Peace Gathering 2019 brings together a diverse group of young adults (ages 18-30) to spend a week learning about peacebuilding. For more detail, download the information sheet here. Photo: Youth from the Speakers Bureau meet with Edmonton-Centre MLA David Sheppard in February 2019, to learn the best ways youth can talk to, and engage with, politicians. ACGC is pleased to partner with Plan International Canada to host a Speakers’ Bureau Hub! The Speakers Bureau provides a platform for young people across Canada who are passionate about advancing gender equality and girls rights. Youth of all genders, ages 14-24 are welcome to join the Speakers Bureau! Read more. Our Speakers Bureau in Edmonton has been operating since September! 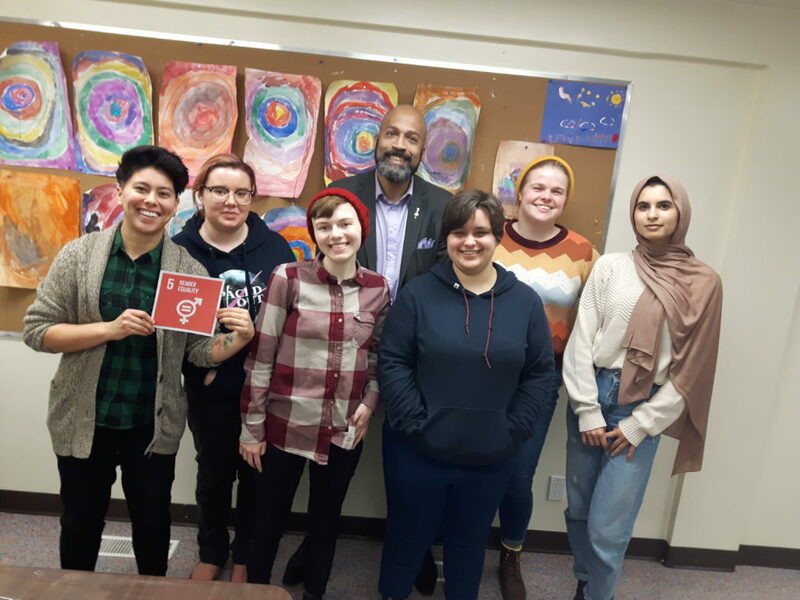 Youth are getting ready to launch a survey in March asking candidates in the upcoming Provincial Election about what they will do to advance gender equality in our province! Survey results will be shared online and on ACGC’s social media channels. For more information, email juliana.kaneda@acgc.ca! Young Canadians want big things for themselves, their communities and their country. That’s why the Government of Canada is building a program that gives YOU the opportunity to serve, while learning valuable skills and gaining experience. Service is a commitment to yourself and the community in which you serve, to build a better Canada. 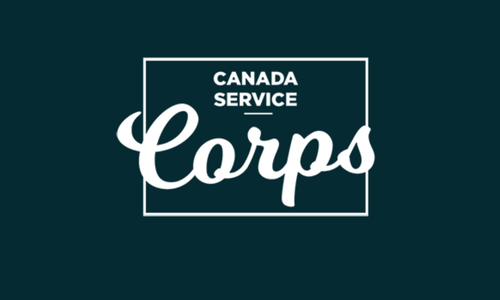 Apply for Program through one of 10 Canadian youth service organizations OR Apply for a grant worth $250-$1500 to create meaningful opportunities for youth to give back in your own community! Explore the many SCIP internship options today!